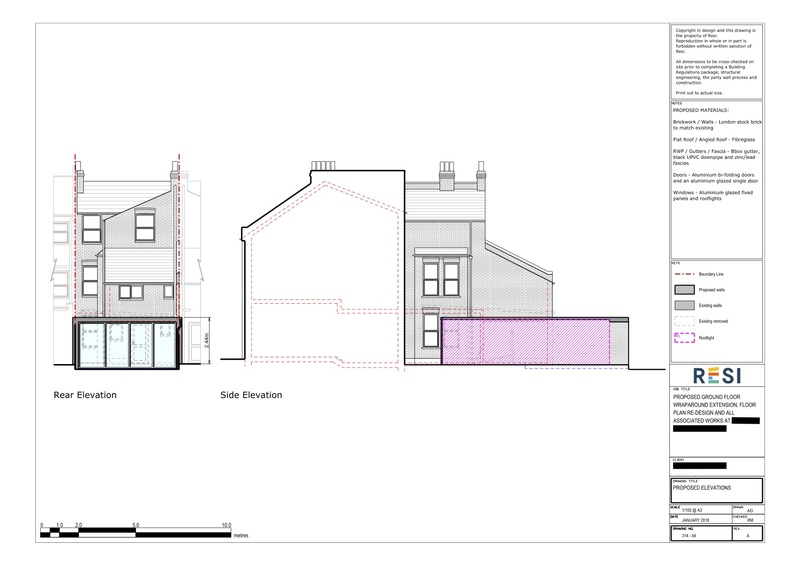 Our client told Resi that the intention of this extension was not only to add value to their flat, but to be somewhere that had the potential to bring up a family in the future. We kept this at the back of our mind during the drawing process, and produced a design that was homey, but also had the capacity to lure in future buyers. 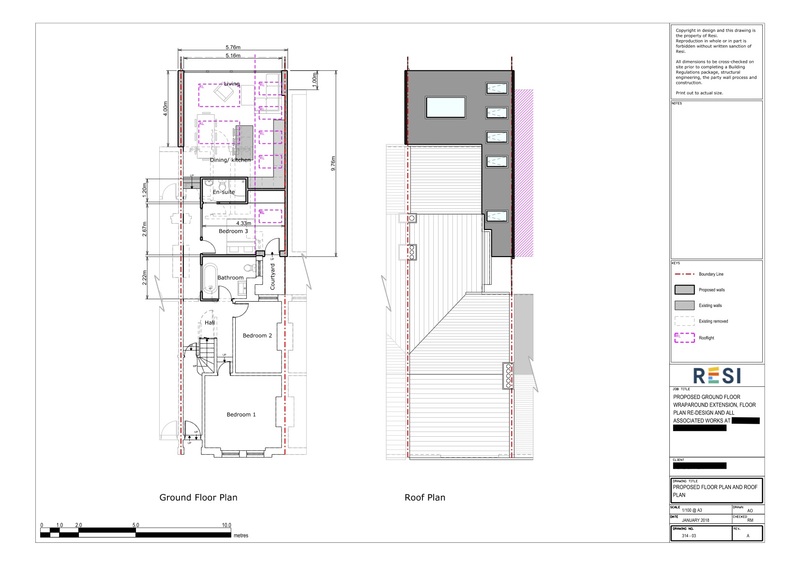 The 'must haves' for our client were the inclusion of an extra bedroom, and a larger kitchen and dining area. They also wanted to find a way to have more natural light, as, due to its position as a ground floor flat, the home did not have much. I decided to keep the front of the property as is, and instead stick to altering the floor plan of the rear of the house. This included adding a master suite that led out into a small courtyard, an enlarged bathroom, and a nice open plan kitchen, dining, and living area. In order to meet the client’s request of more light in the flat, I added a total of six skylights to the kitchen area and one to the master bedroom. Additionally, large floor to ceiling glass doors expanded across the rear of the house, looking out onto the garden.